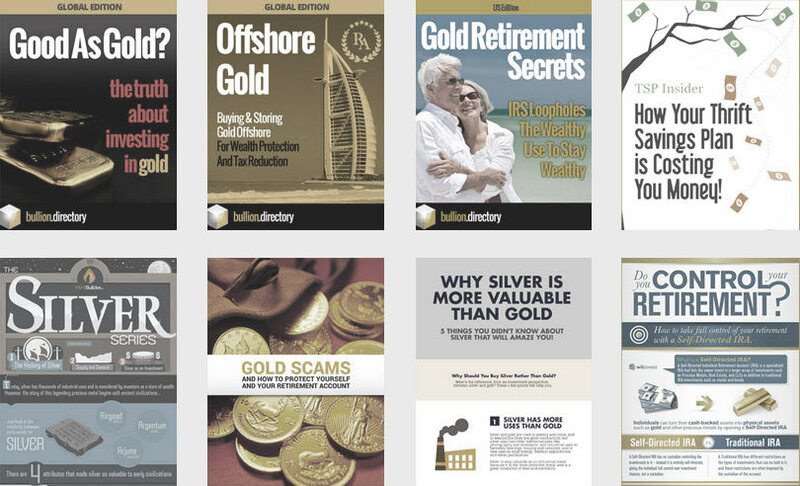 Tartan Digital Limited trading as Bullion Directory (“Bullion.Directory”) respects the intellectual property rights of others. In accordance with the Digital Millennium Copyright Act of 1998, the text of which may be found on the U.S. Copyright Office website at http://www.copyright.gov/legislation/dmca.pdf, and specifically in accordance with 17 USC § 512(c)(3), Bullion.Directory will respond to all claims of copyright infringement committed using the Bullion.Directory News Service, Bullion.Directory Reviews, comments and/or any other element of the Bullion.Directory website (the “Site”) if such claims are reported to Bullion.Directory’s Designated Copyright Agent identified below. If you are a copyright owner, authorized to act on behalf of one, or authorized to act under any exclusive right under copyright, please report alleged copyright infringements taking place on or through the Site by completing a DMCA Notice of Alleged Infringement and delivering it to Bullion.Directory’s Designated Copyright Agent. Upon receipt of Notice as described below, Bullion.Directory will take whatever action, in its sole discretion, it deems appropriate, including removal of the challenged content from the Site. Please note that if you fail to comply with all of the requirements of this section and of 17 USC § 512(c)(3) your DMCA notice may not be valid. Identify the copyrighted work that you claim has been infringed, or – if multiple copyrighted works are covered by your Notice – you may provide a representative list of the copyrighted works that you claim have been infringed. We take all claims of copyright infringement seriously and acknowledge any screenshots, logos, company names & styles are IP, copyright and trademarks of their respective owners. The aforementioned names, marks and styles are used on this site for the corresponding company’s promotion and/or editorial illustration – under 17 U.S. Code § 107 concerning fair use. A shortened copy of this fair use notice and a direct link to this page can be found at the bottom of every and all pages of this website.